Thoughts on love. | marionhoney. I'm watching a lot of films lately. Which is probably good since I'm doing a film studies course at university. But yes. So watching a lot of movies and a lot of old movies at that. And cinema is often about love. People in love. Falling out of love. And having watched a lot of noir films at home and then seeing The Best Years of Our Lives today I just find myself thinking a lot about what love means and how people express love and the degrees of love and how all words, all concepts are constantly evolving. I suppose what keeps rubbing me the wrong way in some of these films is how quickly people jump to say they love each other. Maybe I've just been so over saturated with material I'm just waiting on the profession so it all constantly seems too rushed. But I dunno. Even with the compression of time that happens within film, I still feel like a lot of the time I have a different working definition of what love is from these people. How soon you say it. How soon you say it and actually mean it. 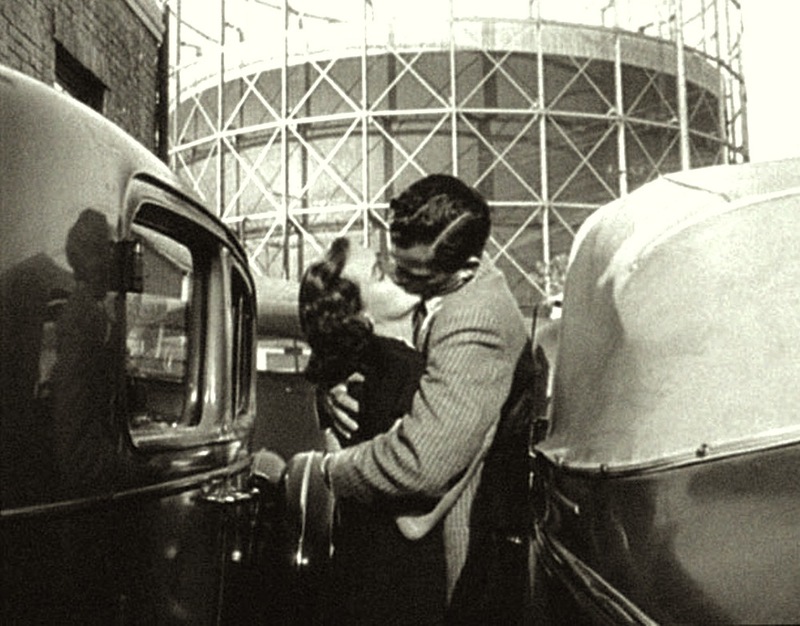 Or perhaps today's definition of love is very different from what it was in the 40s and 50s. I think what I'm trying to say is I feel like people were more open to saying "I love you" then than they are today. And maybe this is just my rosy retrospective assumptions for a time I didn't even live through, but I feel like people meant it more back then too. I have to keep in mind that all of this is being presented to me in films. And that these stories aren't real--they are written constructs. But at the same time, I believe that cinema is a reflection of life. A window that let's you look onto life. It's not verbatim. But cinema is not only influenced by the world it is made within but influences that same world right back. I was bringing up some of my issues about love and what it means with Sanne today, and she raised a very good point that today we mostly use the word "love" in only the opposite extremes. We throw it around meaninglessly. We love this actor. This television program. This random stranger we met half an hour ago. You use it in a kidding sense. I'm guilty of this. What's at the other side? It's the love that people are afraid to use. Actual love. Or restrained love. Or obsessive love. Love that we feel embarrassed of. We don't want to admit it because we think it makes us look weak, or overly sentimental, or we feel it will run off the person it's directed toward. I think the kind of love that gets wrapped up in this is love for your family members and very close friends. You can care about someone very much yet I know for many it's difficult to just plainly say "I love you" to some of these people. And where do crushes fall into all this? This is where films start to weave their way into my confusion over what love is. Are you in love with someone you intensely like? Is love any less valid if it's not long term or unreturned? Are you only in love with someone if you're able to directly express it to them? Or if you're finding you wish you could express it to them. And what about varying degrees of love? There are varying degrees of intensity when it comes to liking someone. At what point does a certain intensity equate to love and when is it appropriate [if ever] to express this to someone? What's even more troubling is love and the internet. How many times have you seen people sighing about being in love with people they've never spoken to, people they've never even met? These are just some things that have been on my mind. I suppose I find it sad that there are certain people I'd like to tell that I love them. But I won't. Is it because I question my own sincerity? Or is it that I question other's sincerity and feel the word "love" has become too loaded? Is it too charged a word? As with every lecture and seminar I've been attending lately, I'm left with more questions than answers. Everything you just wrote, I've thought about and asked myself in the past. I think everyone must feel this way at some point in time though. Maybe some people have had more experience with expressing and feeling love and that's why they're so candid with the word. Okay, so it's 1am here and I'm pretty tired, but my sleepy head now doesn't want to stop thinking about this blog post. Thinking about the more traditional families and earlier marriages, I think telling someone you loved them just had to do with a lot more commitment a few centuries ago. Maybe I am idealising this and imagining families in the early 20th century in a way they really were in maybe, the 19th century. But I think back then (as if I'd lived during that time...),, when you loved someone, it really had to do something with spending your whole life with this person. Whereas now with all these more superficial acquaintances and facebook friendships, the use of the world love has quite obviously been adapted to that change. And I think, as soon as we start questioning that and think about the real value of it again, you can't help but to be intimidated. Actually, I don't know either. Thanks very much for this--such a great response! Ok, so I followed a link in your latest video's description and I ended up here and this is too good not to reply to. I think there are a myriad of different types of love. At its base form it could be a connection to a cherished object, or to an idea. Many Philosophers have said that love as a concept is the definition and source of the true human virtues e.g. selflessness, compassion, and the list of loves goes on. In the 19th century, it was in a sense, a larger world. Each person had their social groups and their families and a person's dependence on this solid bedrock of connections was one that was often lifelong. I think it would have been easier to demonstrate love then, when the people you met and got to know would very likely be the people you still know 20 or 30 years later. Today it's a very connected and comparatively small world which is (Somewhat oxymoronically) also focused on the development of independence. It's a possibility that we as people find it hard to say "I love you" to our families because we on some level wish to show them that we're independent and sure footed and want to do them proud. For our friends I think it's a lot harder now to establish a bond that can develop in to Actual Love. The people you meet in Secondary School will most likely not end up in the same college as you, or the very short time you had at college (The English college that is, not uni. College is only 2 years long) was not long enough to make friendships concrete. For the friends we truly hold close that focus on independence I mentioned often means it's a lot harder to share things with people in general in case you burden them with your thoughts, and if it's difficult to share those small things and be just that little bit vulnerable with the people we hold dearest it's a very difficult and daunting prospect to share those things that leave us very vulnerable, even if it's just to express how much a person means to you. Ok, so now it's about 5 past 6 I'm going to stop writing. I'm sure I could say more but sleep. Feel free to call me out on any of this, I was just theorising. It was sort of a stream of consciousness typathon whilst what you said in dat_blog above was fresh in my brain.